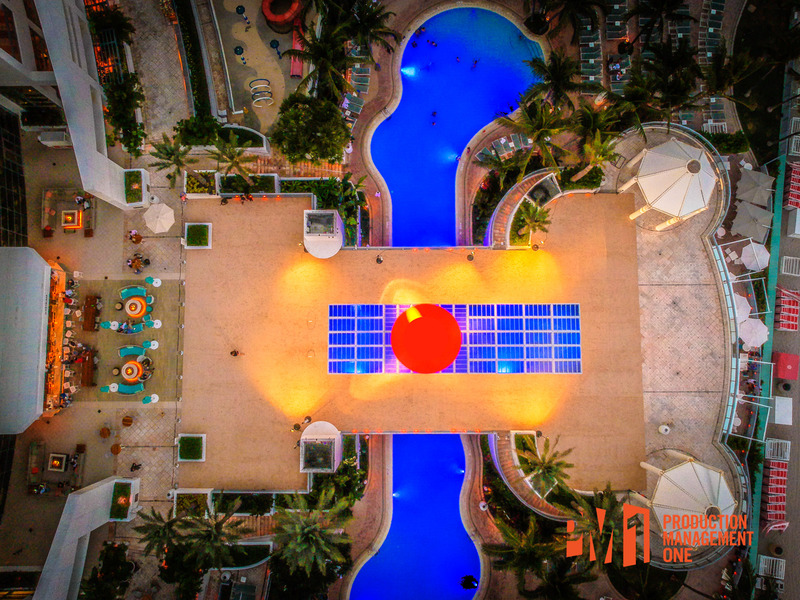 (Fort Lauderdale, Florida) We've been doing a TON of searching, and can't seem to find any other trade shows that have been held over a pool, so we're declaring a FIRST. 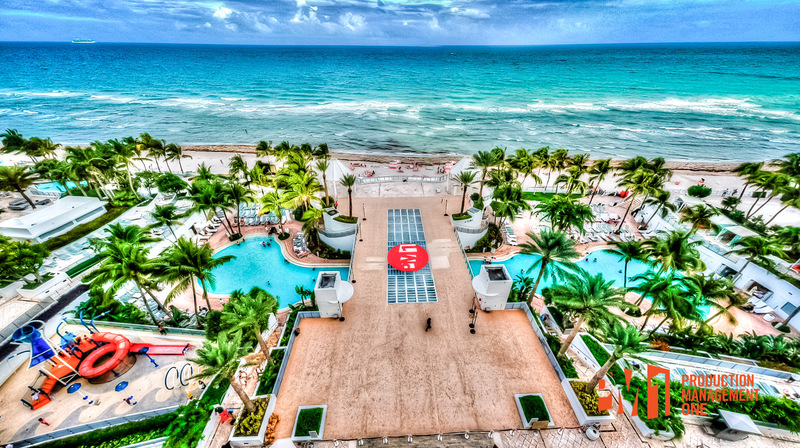 Picture yourself staring at the Atlantic - while inside your booth, sipping Mojito's and you'll get the idea. 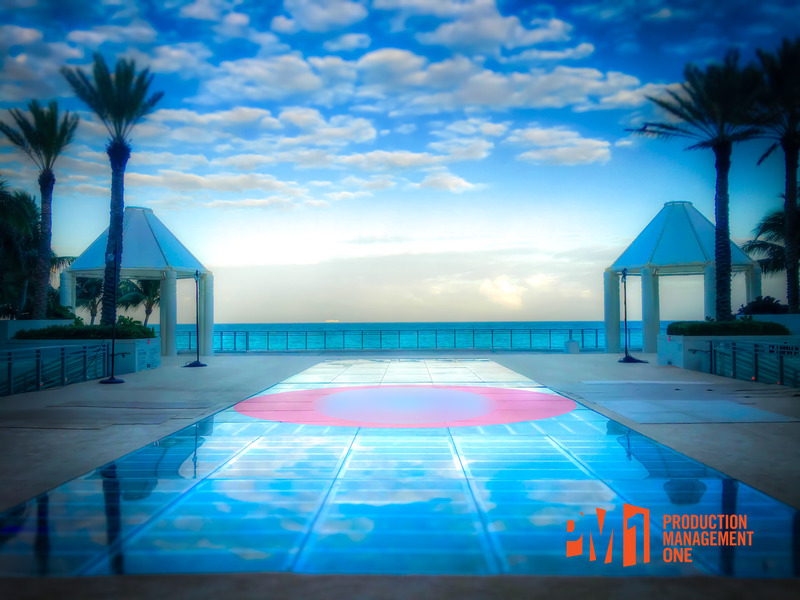 PM1 created this cover with a zero-barrier approach spanning the entire second-floor pool deck at this iconic Fort Lauderdale resort. The pool cover went in before guests arrived, ensuring that they were greeted with this as their first view of the ocean at sunrise. While we've been covering pools for some time with our signature Waltz on Water brand (check out it's separate web site) we've been considering changing the brand to "Trade Shows On Water" before it catches on. 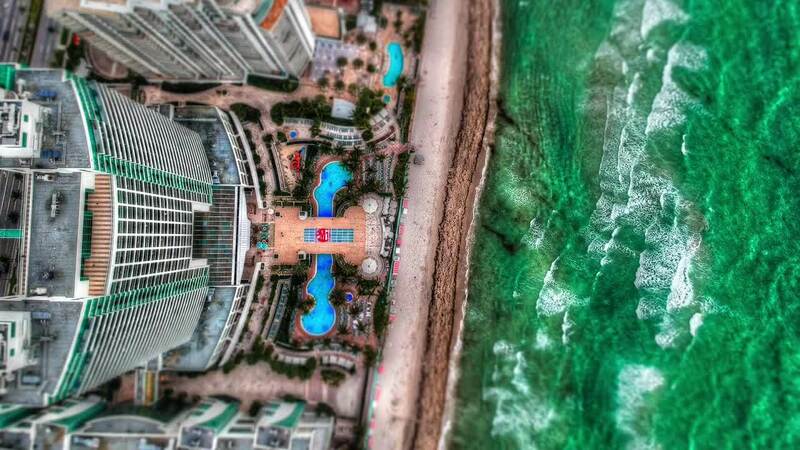 Want to snag the entire deck of aerial photos from the installation for your next client presentation? Hit the button to contact us below to discuss your next project with us, and we'd love to share them with you. 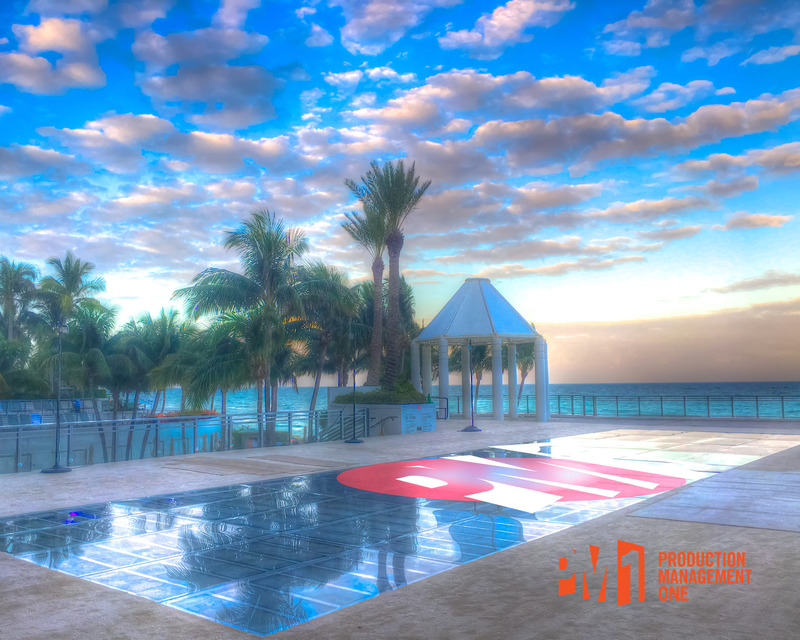 PM1's pool cover rentals are more than just a pool cover - they're fully-engineered structures with clear acrylic tops that bear full 125 lbs/ft2 load ratings of our StageRight decks. Because we build them with StageRight AF decks. You could drive a truck across this. They also look REALLY cool at night! Want more information or to start designing your next trade show pool cover?